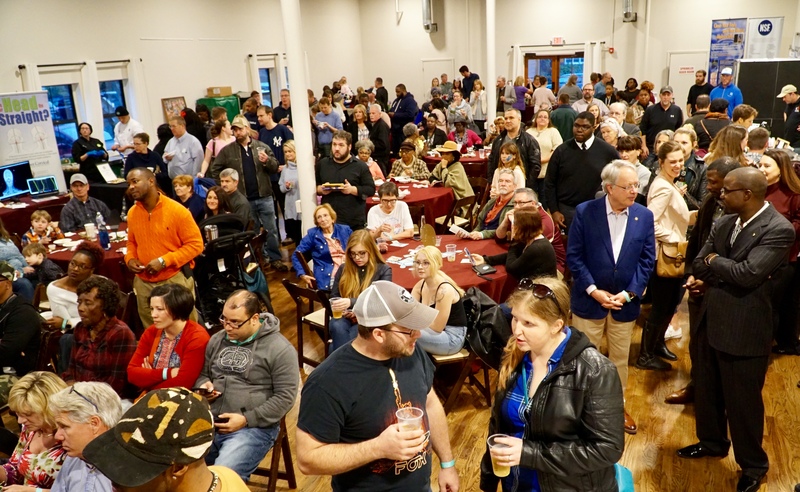 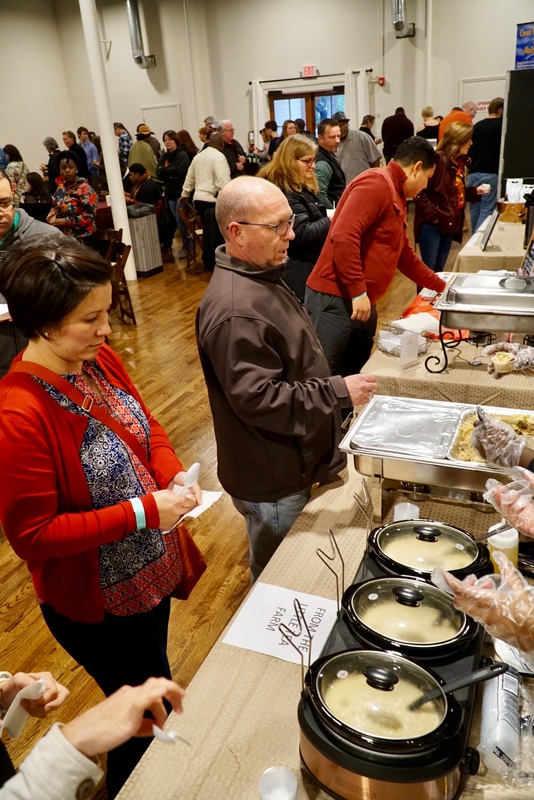 West Ashley Restaurant Festival named HUGE SUCCESS Held on Sunday January 13, 2019 and in-spite of a rainy morning and questionable whether conditions, had no affect on the West Ashley community and supporting their very first ever Restaurant Festival. 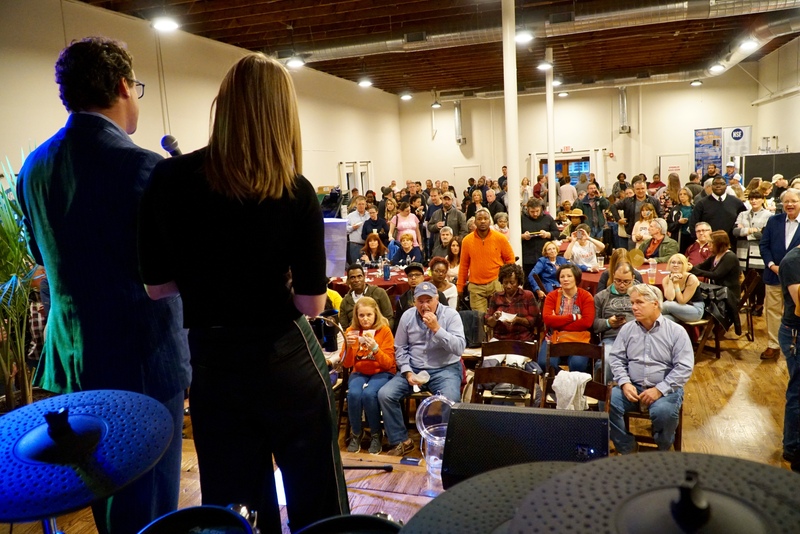 All roads lead to The School House Event Venue on Magnolia Rd where community members and supporters of the new West Ashley Area Chamber gathered in large numbers, waiting in line for the event that ended with over 753 spectators in rotation. 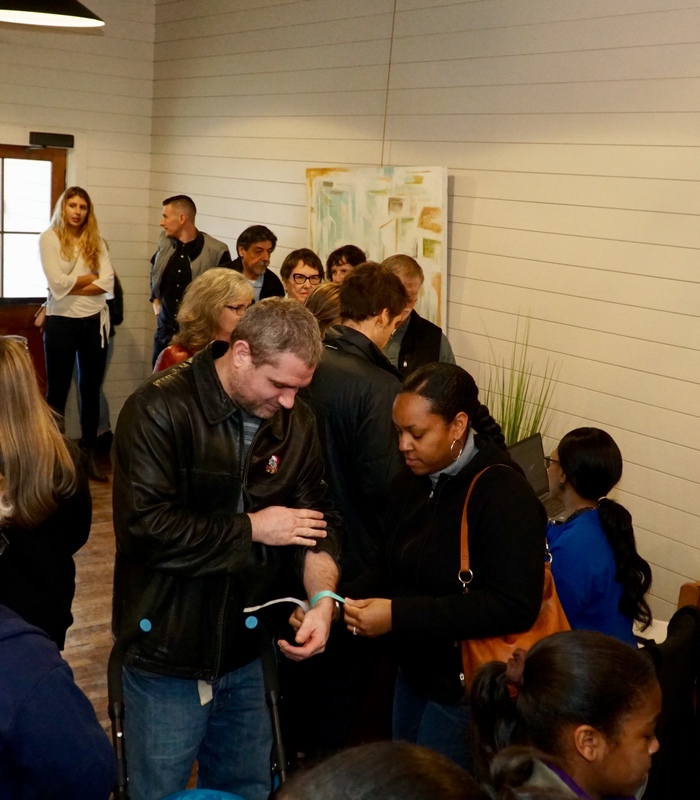 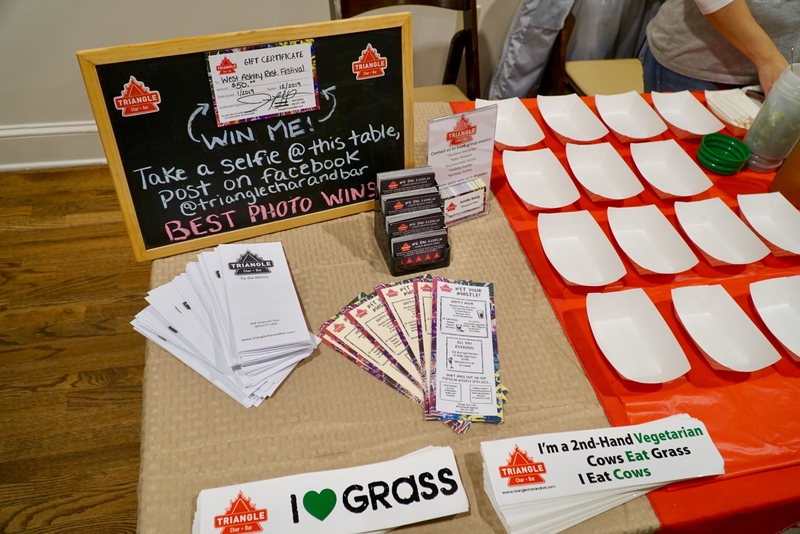 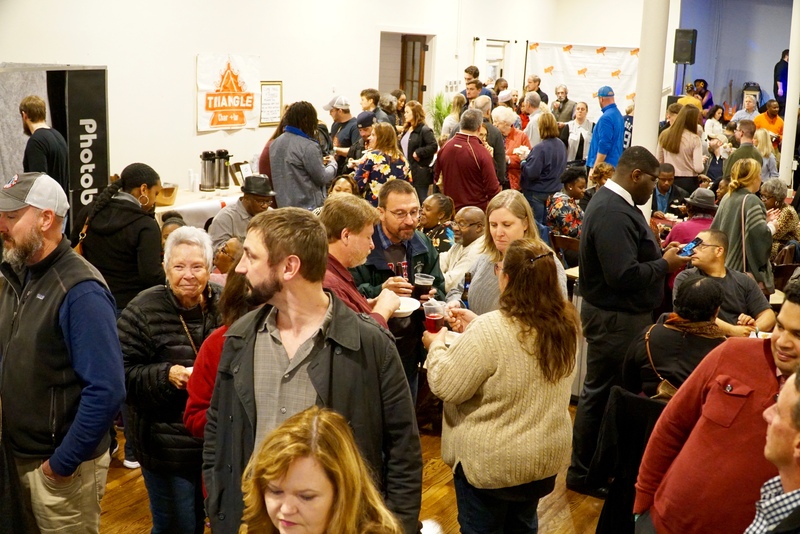 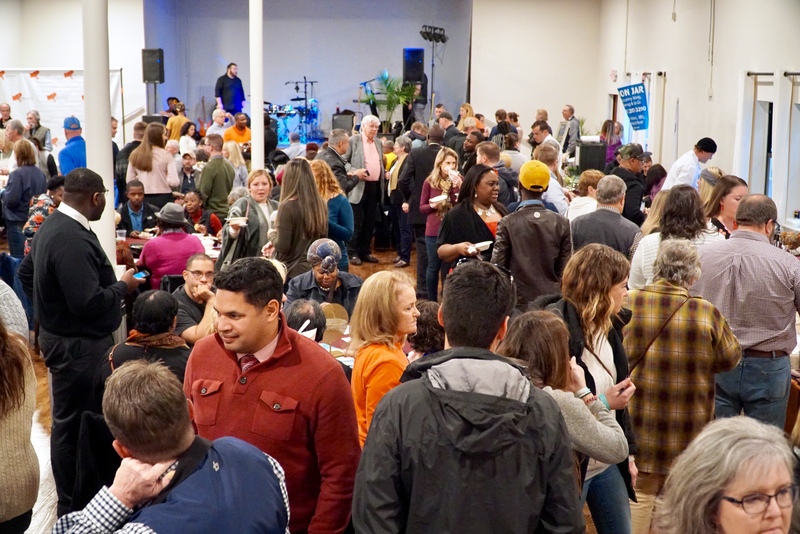 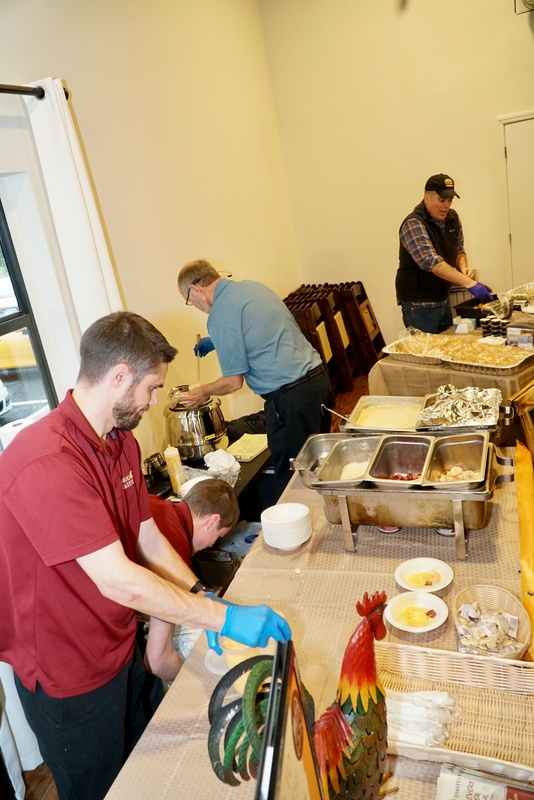 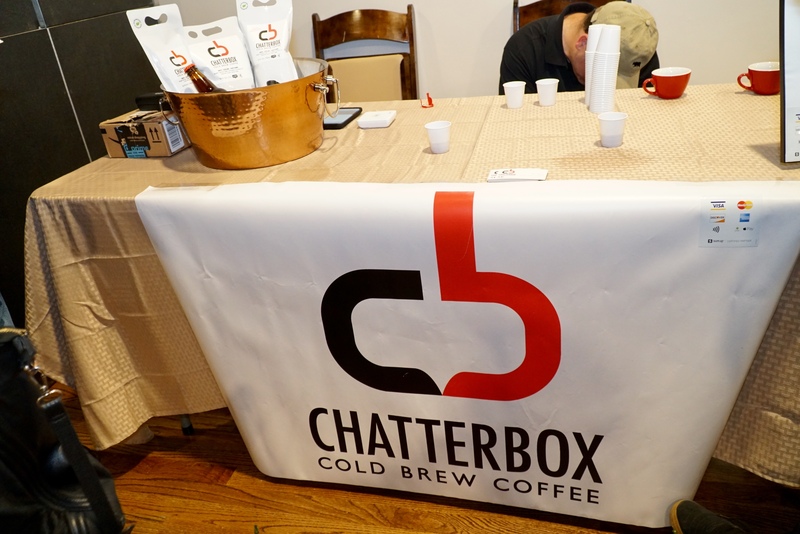 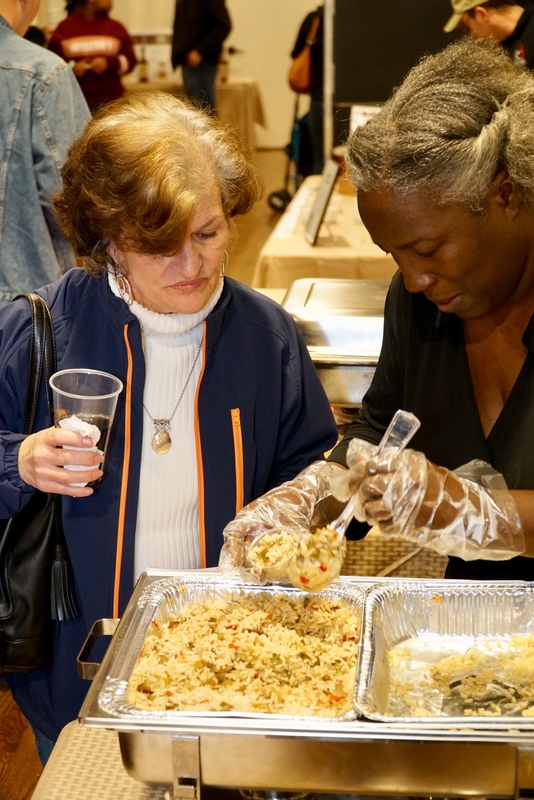 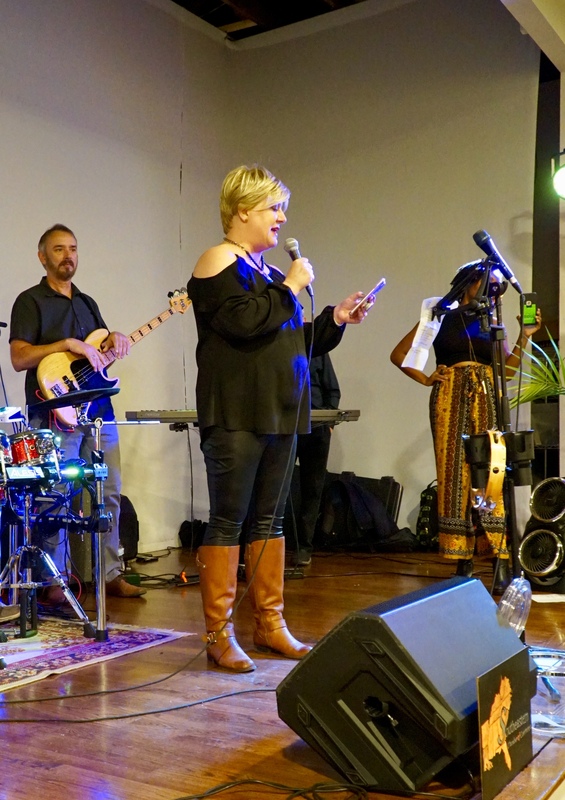 Chatter filled the air with local restaurants management and staff, along with local business owners and supporters that were blown away by the communities support of the new organization and the event. 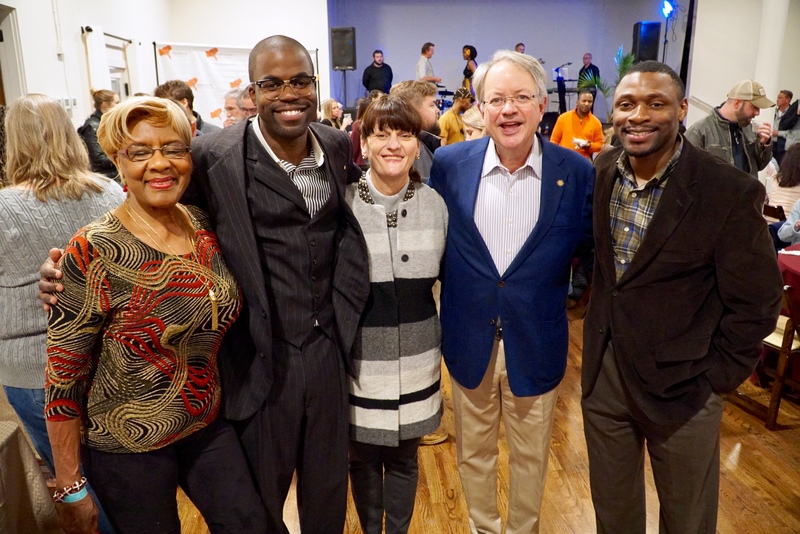 Among guests were Charleston Mayor John Tecklenburg, who gave remarks and 1st Lady Sandy Tecklenburg. 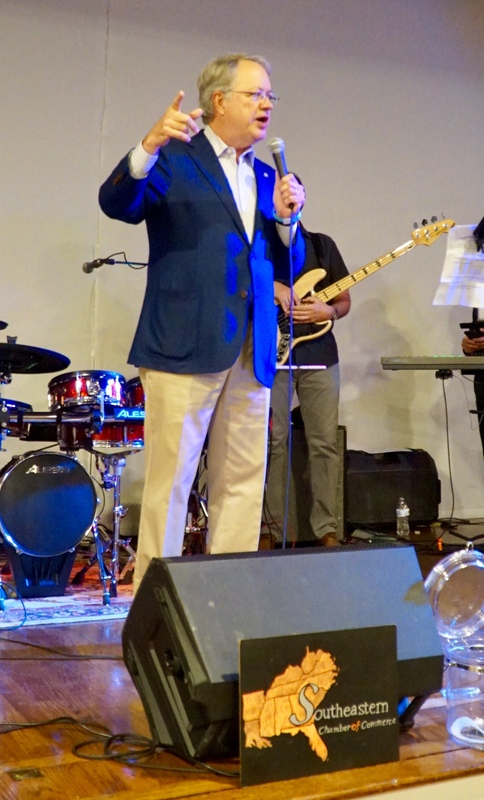 Others in attendance were SC House of Representatives members J.A. 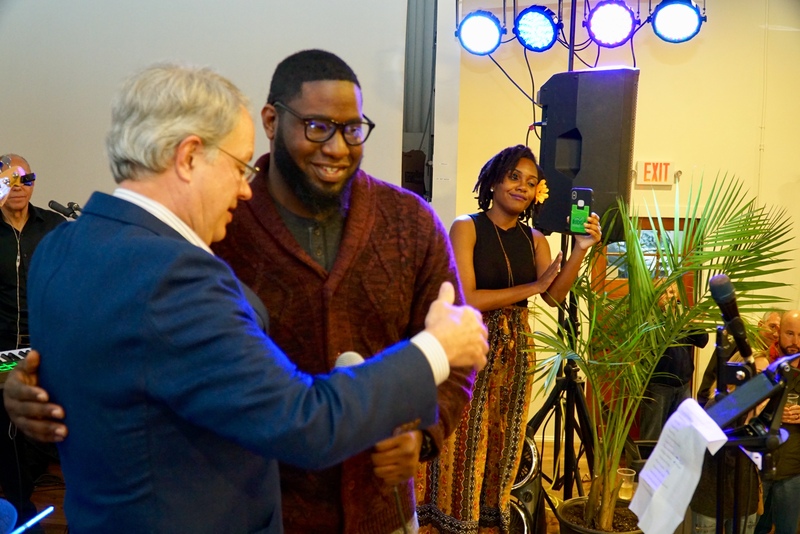 Moore of District 15 and Marvin Pendarvis of District 113, whom which Tecklenburg reminded to support the bill regarding the rectification of drainage issues that face the Charleston community. 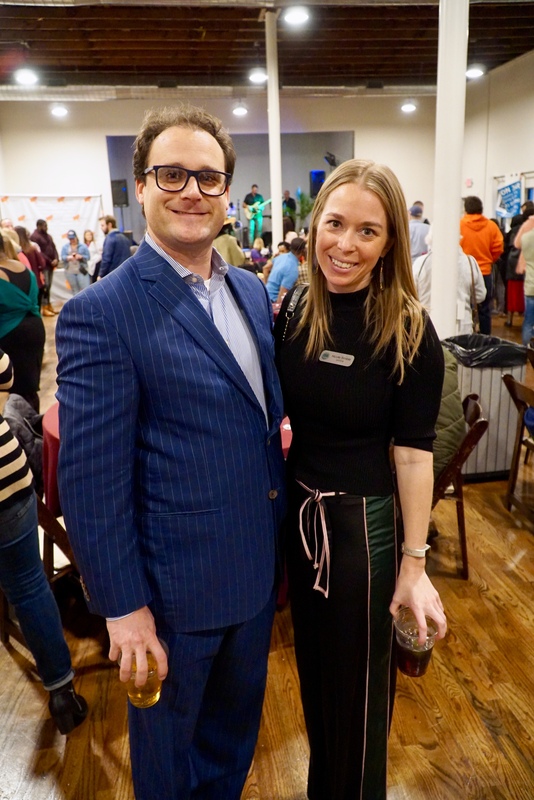 The event was hosted by Nicole Trimble of CHS Today/6am City and West Ashley based Attorney Mark Peper of the Peper Law Firm. 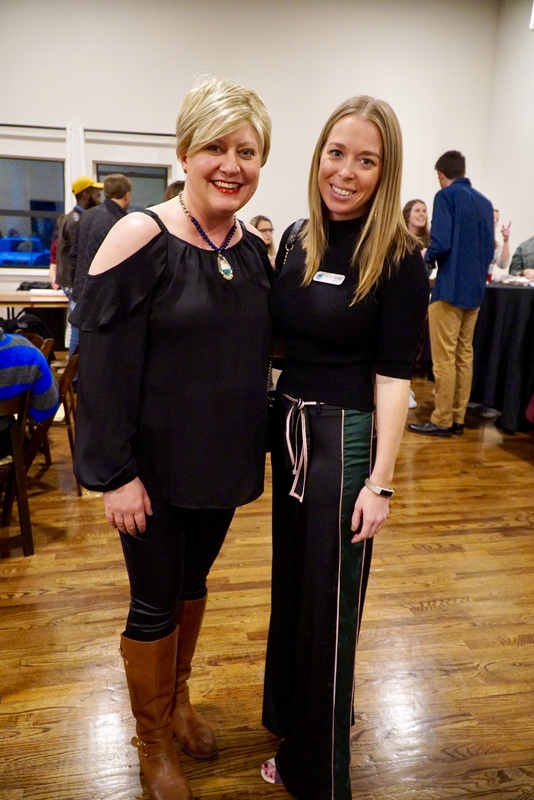 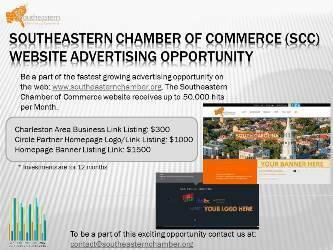 West Ashley Area Chamber President Karla Mironov gave remarks on her vision to reshape and provide ongoing support for the small business community in West Ashley and thanked the support of her Parent Chamber Leader- Henry Ravenel, CEO of the Southeastern Chamber of Commerce. 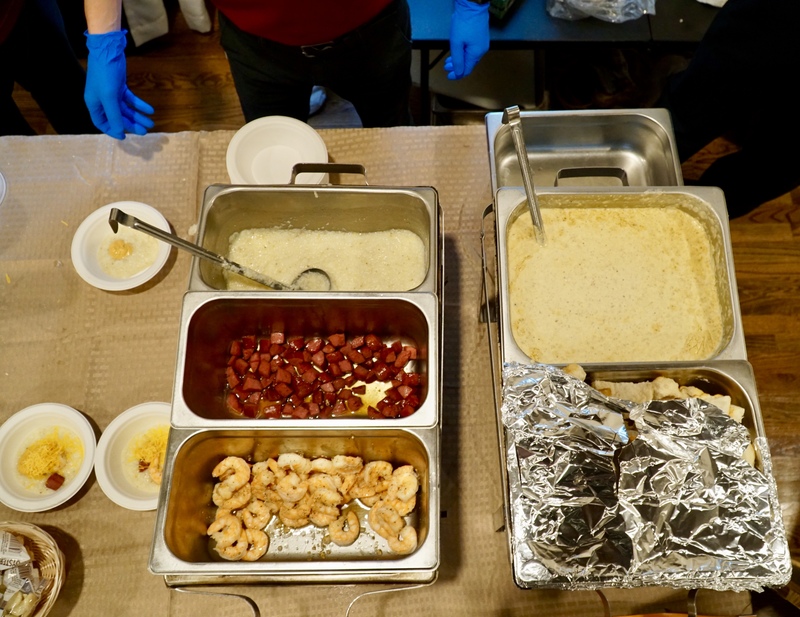 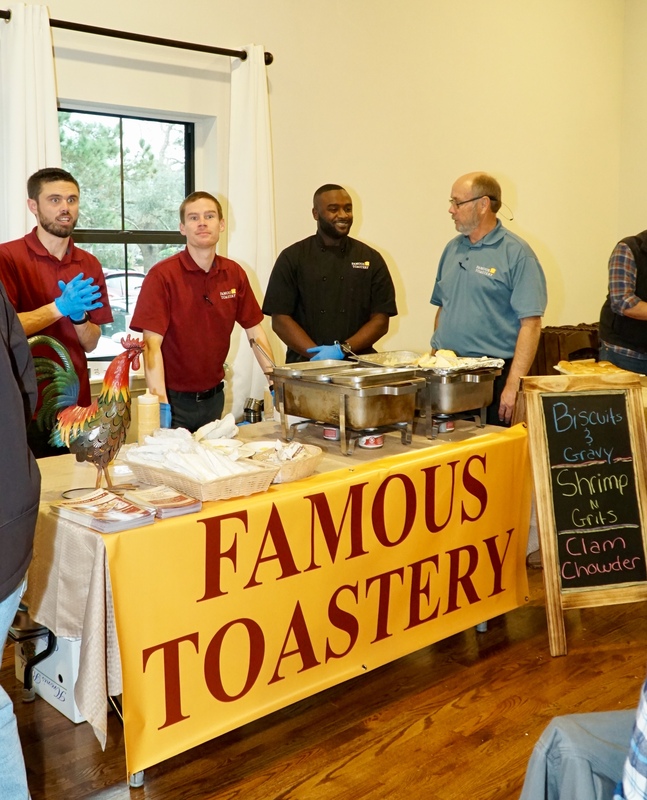 "I can't believe we went through over 400 servings of Shrimp and Grits in the first hour and a half" said Eddie Mcmillan, owner and operator of West Ashley based Famous Toastery in Ashley Landing. 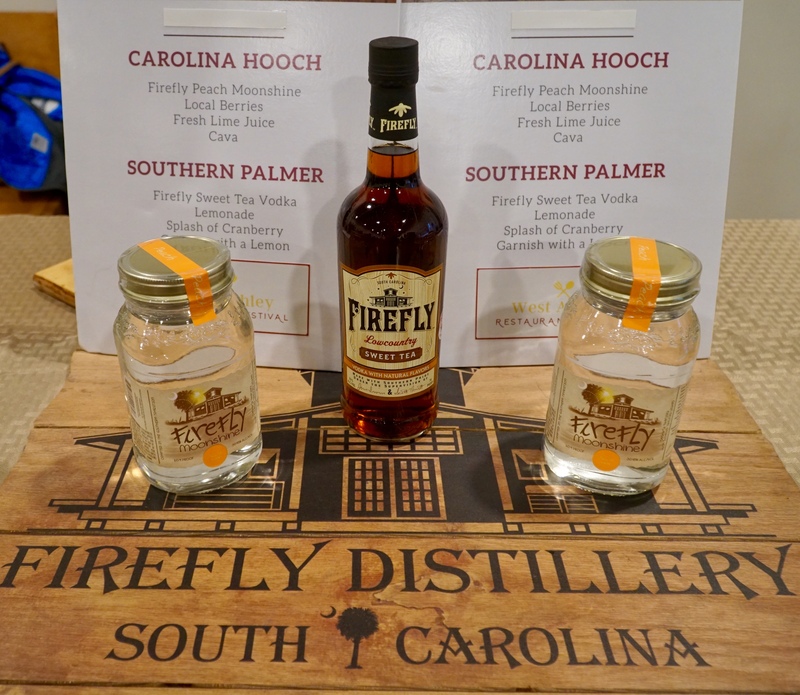 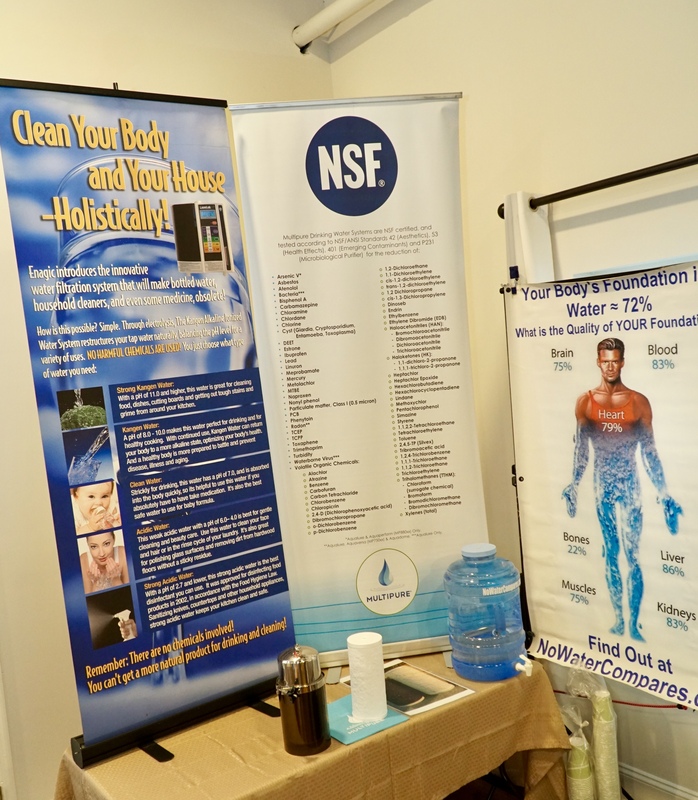 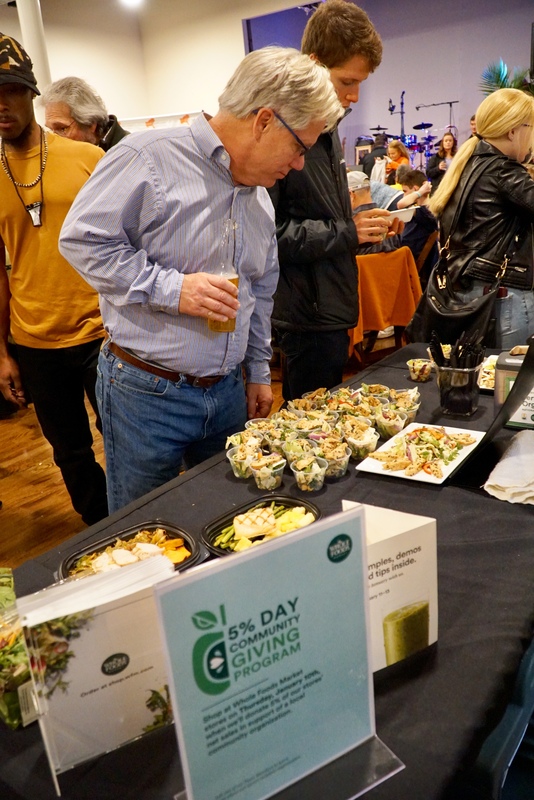 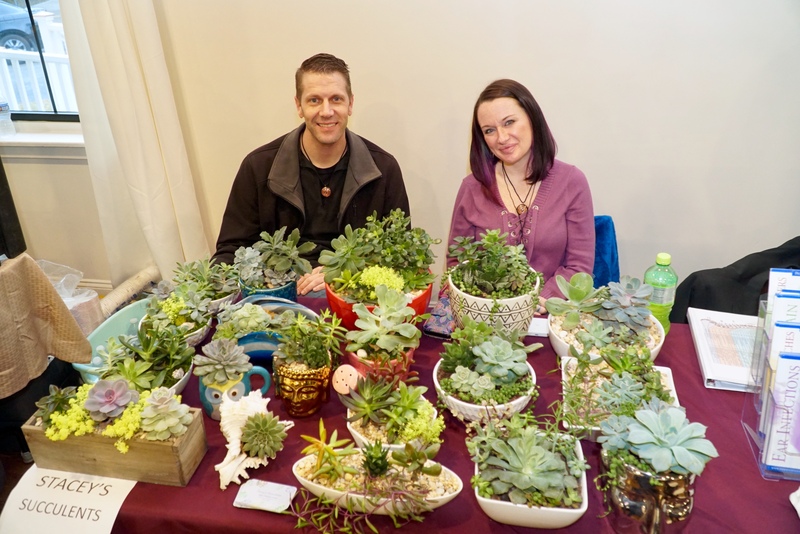 Other vendors in attendance were Krispy Kreme Donuts, Chatterbox Coffee, No Water Compares, The Mason Jar by Fat Boys, Triangle Char Bar, My Little Tea Farm, Whole Foods Catering, Charleston Burger Company, Fire Fly Vodka and more. 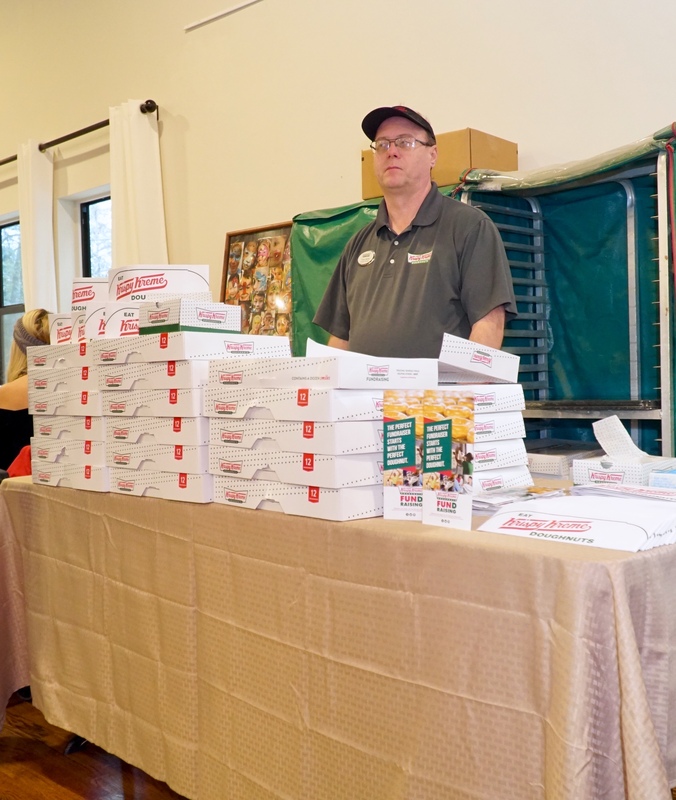 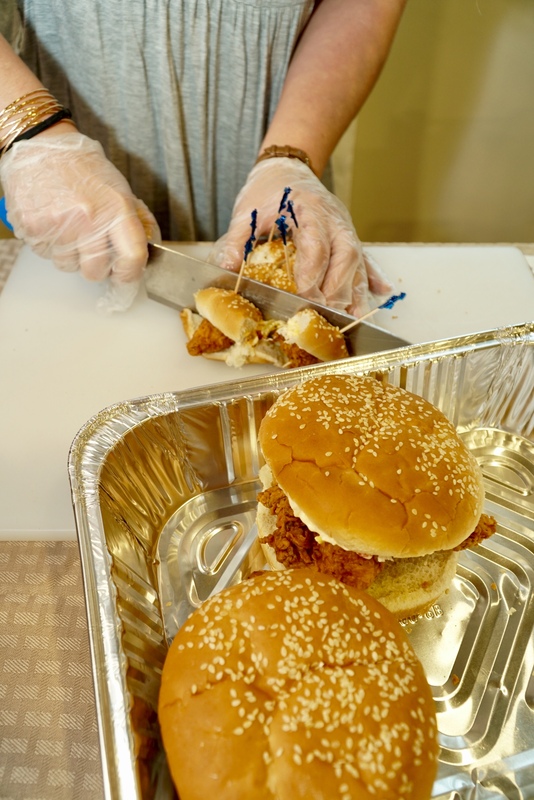 Vendors Outback Steakhouse, Taste of the Islands, and Holy City Cupcakes faced workforce issues and last minute obstacles that prevented their participation, but sent regrets and pledged their continued support to the new organization and next years festivities. 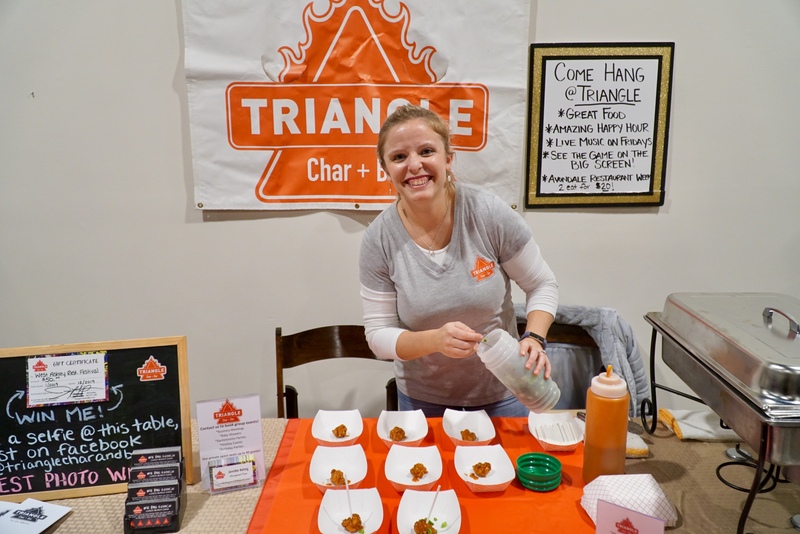 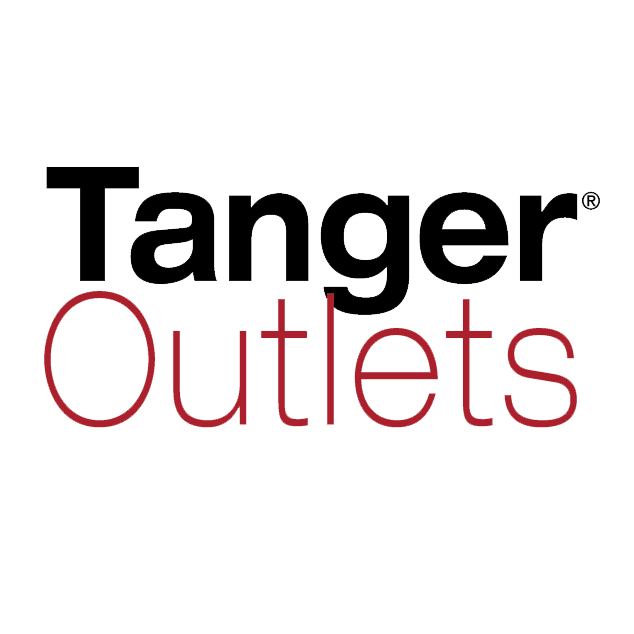 "We really wanted to be there, but last minute staffing emergencies made it impossible, it gives us great pleasure to announce that our establishment has joined the new West Ashley Chamber and are already seeing a positive referral affect in the restaurant. 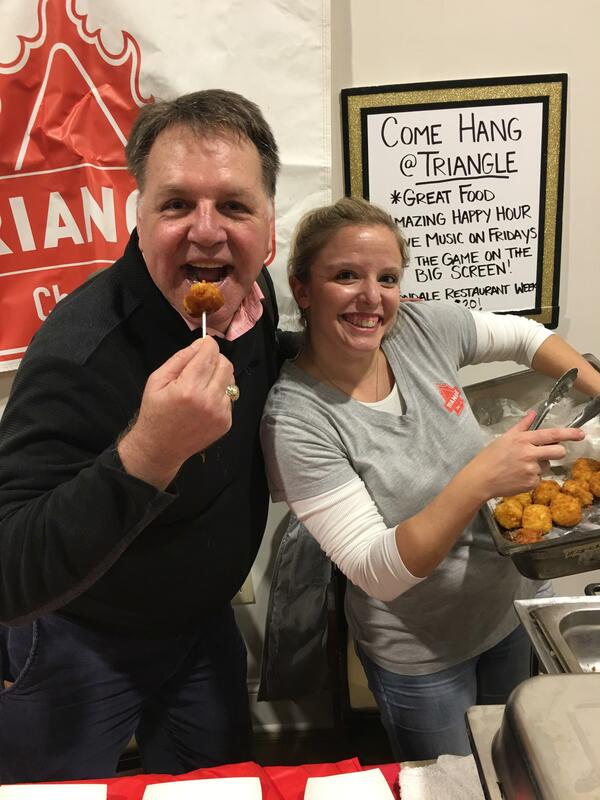 I'm exited", said Ash Hinson, new GM and Operator of Outback Steakhouse. 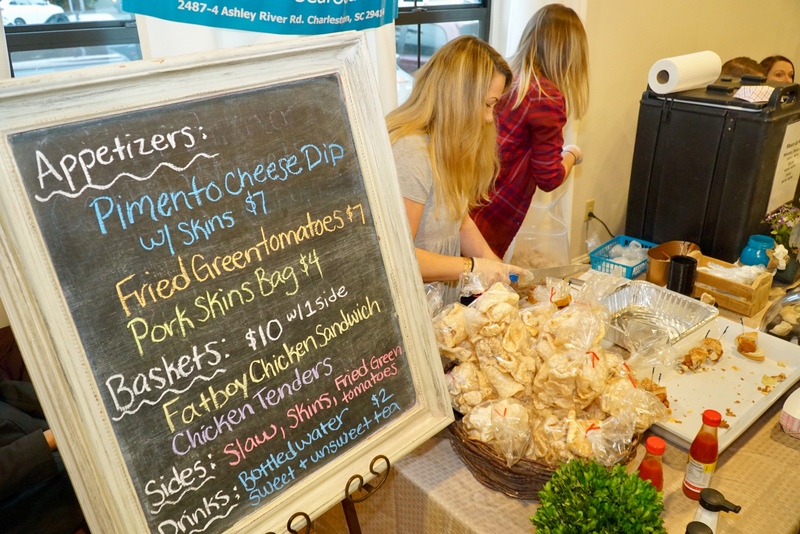 The Chamber plans to send out vendor surveys and reach out to random guests for continual feedback and ideas on how to make the 2020 Festival a greater success. 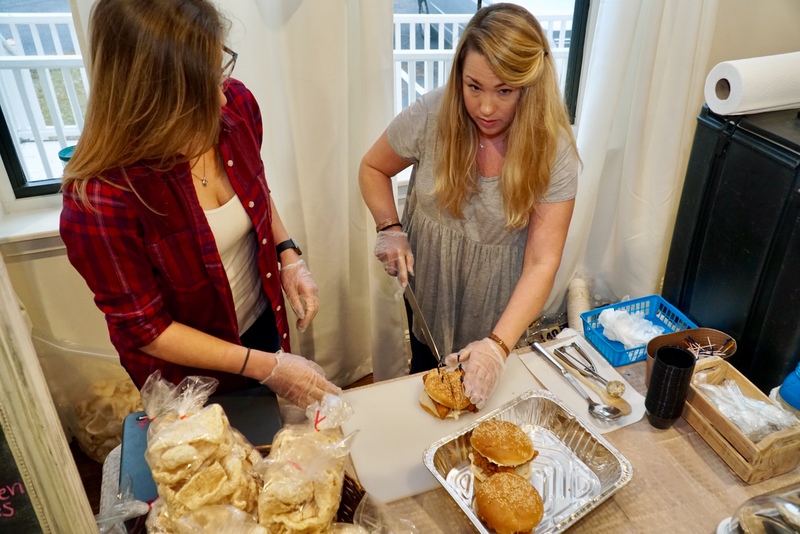 The group is considering moving the event to the 2nd Weekend in February, which is typically a slower period for the West Ashley Food & Beverage Community post Super Bowl Sunday, and approaching Valentines Day. 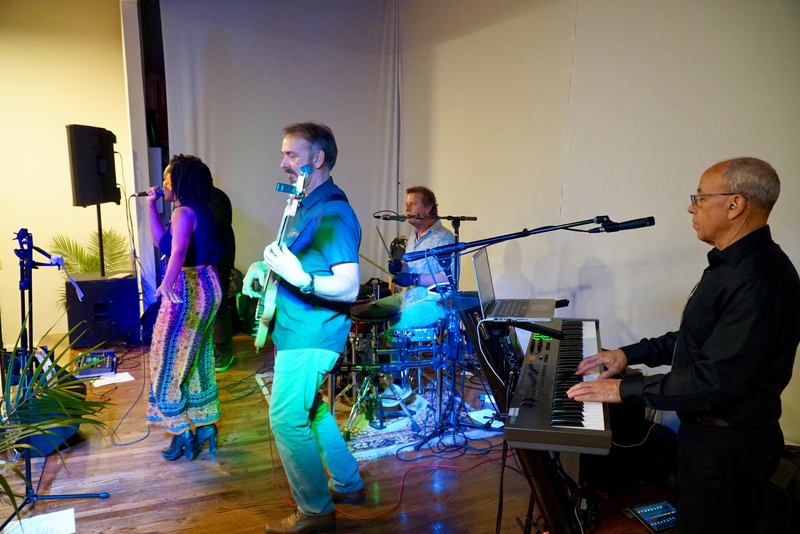 The event ended by guests grooving to the amazing sounds of the Free Ride Band of Charleston, open networking and delicious chicken sandwiches from the Mason Jar By Fat Boys and fried macaroni & cheese balls compliments of Triangle Char Bar.